Public comment is open for a proposed pipeline in the HD Mountains. An 8-mile natural gas pipeline and a handful of wells are being proposed in the Fosset Gulch area, east of Bayfield. The project – the Northern Extension Pipeline and associated Fruitland Coal Gas Horizontal Drilling Project – is proposed by Petrox Resources Inc. and is up for public comment until Sept. 28. Because much of the proposed development would occur on National Forest land, the U.S. Forest Service is preparing an environmental analysis, which includes a list of preferred actions and alternatives, and opportunity for public comment. According to the Forest Service’s preferred action, the project would consist of a 16-inch natural gas pipeline and a 4-inch pipeline to carry produced water that would be buried across National Forest, state and private land near the HD Mountains. The project would be mostly located in Archuleta County, just east of the La Plata County line. The project would include only three wells and disturb 2 acres, because technological advances in natural gas drilling allow operators to drill horizontally, allowing wells to reach more areas without having to disturb more land. Under the old ways of drilling vertically, it would require 24 wells and the disturbance of more than 50 acres to reach the same amount of natural gas reserves, according to the Forest Service. Two of the three proposed wells already exist on 4 acres in Lange Canyon and require some work but no further disturbance of land. The one new well would require 100 feet of access of National Forest Land, disturbing 2 acres. In its initial review, the Forest Service identified possible issues and concerns with the preferred course of action. Namely, the proposed pipeline and the new well would cross the HD Mountain roadless area. The Forest Service, however, said the pipeline would follow an already disturbed old roadbed, and would be buried with little maintenance required. The proposed project has potential to exacerbate methane seepage at the Fruitland Formation, though there is no evidence that a natural gas seepage exists, and development to-date has not created any new seepage, they said. Jimbo Buickerood, public lands coordinator for the San Juan Citizens Alliance, said the proposed project is a remnant of a larger battle over oil and gas development in the HD Mountains years ago. Buickerood said he was pleased to see the Forest Service came up with a number of alternative actions, giving residents an opportunity to see other options for the project and perhaps piecemeal it. A group called the Northern San Juan Basin Stakeholders Group, consisting of about six to 10 nearby residents, meets quarterly about these issues and will get together next week to talk about this project, he said. “I think the Forest Service has listened to that and knows we’re serious about it,” Buickerood said. Advancements in horizontal drilling, too, have relieved many of the issues, he said. 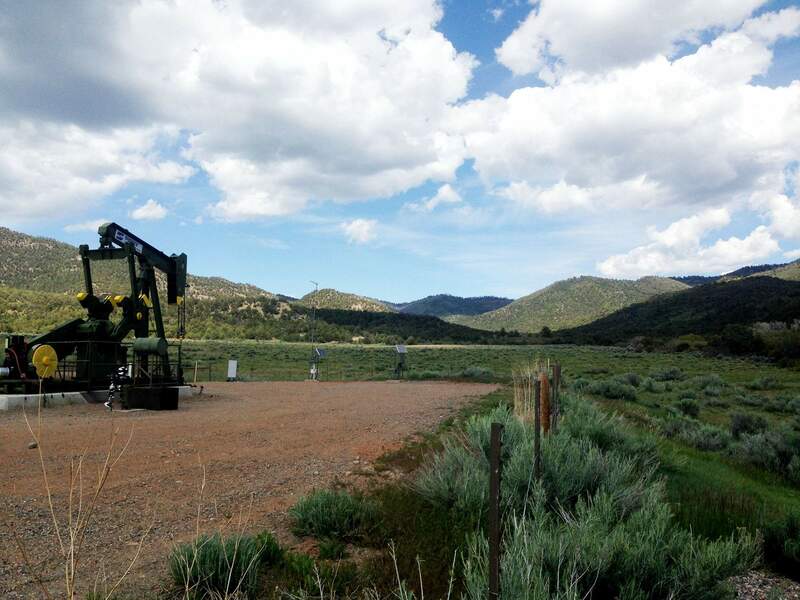 San Juan National Forest announces that Petrox Resources has proposed the development of existing Fruitland coal-bed natural-gas leases east of Bayfield on San Juan National Forest land in the HD Mountains-Fosset Gulch area. The proposal includes the construction of an 8.6-mile pipeline, a gas well pad and the redrilling of two existing gas wells. Horizontal drilling techniques are proposed to be used for multiple wells from each pad. The Forest Service will accept input to ensure issues are considered for an environmental analysis document. To view the scoping letter and map, visit https://bit.ly/2Q2qj85. Submit input to Walt Brown in person or through the mail to San Juan National Forest Headquarters Office, 15 Burnett Court, Durango, CO 81301, or in an email to wabrown@fs.fed.us. The submission deadline is Sept. 28. For more information, call or email Brown at 385-1372 or wabrown@fs.fed.us.